With more than 160 federal and state laws passed over the past 20 years dealing with the environment and permits, things can become enormously complex. The Office of Permit Coordination and Environmental Review was established to coordinate and facilitate the permitting of large complex projects across multiple DEP programs. 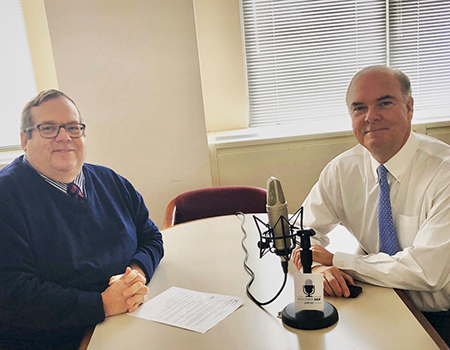 John Gray, Director of the Office of Permit Coordination and Environmental Review and Deputy Chief of Staff, sits down with Bob Bostock to discuss how this office helps to enable timely, predictable and positive permit decisions. The mission of Air Quality, Energy & Sustainability (AQES) is to ensure that New Jersey’s air is clean and safe to breathe, evaluate and support the development and implementation of secure and resilient energy systems, and promote sustainable environmental practices. 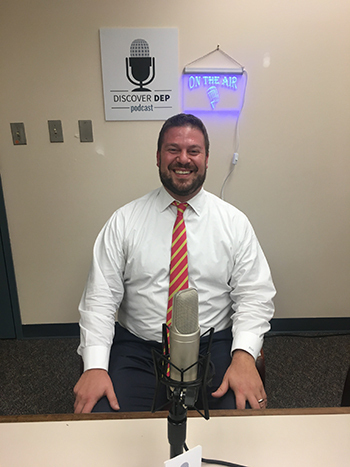 Bob Bostock sits down with Paul Baldauf, Assistant Commissioner of AQES, to discuss his program’s accomplishments in areas such as emissions from out-of-state sources, electric vehicles, and recycling. Site Remediation and Waste Management Program (SRWMP) is the DEP’s program area that administers laws and regulations concerning contaminated sites, recycling and disposal of solid wastes in the state. 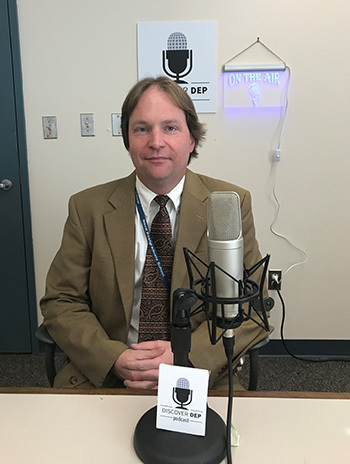 Mark Pedersen, Assistant Commissioner of the Site Remediation and Waste Management Program, sits down with Bob Bostock to discuss the changes set forth by the Site Remediation Reform Act, the LSRP program and regulatory reform. The Office of Local Government Assistance plays a crucial role as a liaison between local governments and DEP. This office makes sure that the lines of communication are open between New Jersey’s county and municipal leaders and DEP, and that local issues are heard and addressed. 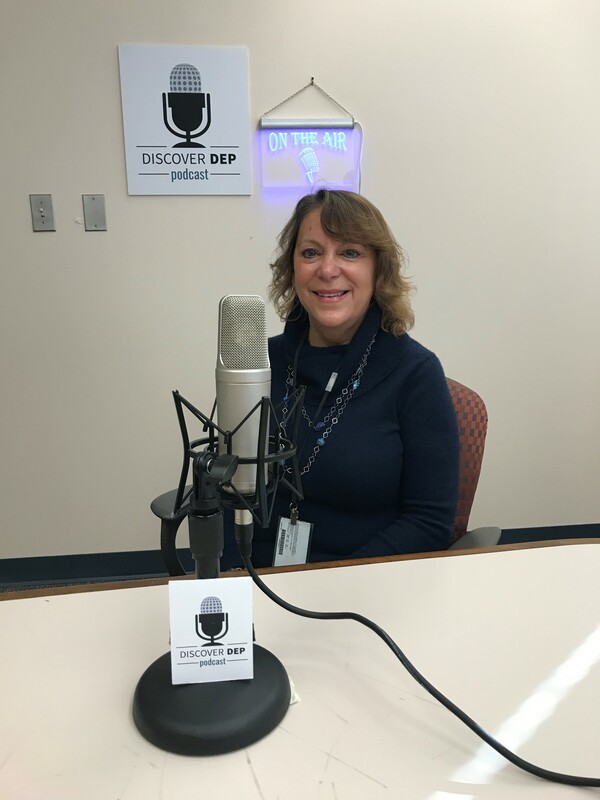 Bob Bostock sits down with Kerry Kirk Pflugh, the director of Local Government Assistance, to discuss the role DEP plays in local government as well as her experiences and accomplishments as a part of this program. DEP’s core mission is to protect the air, water, land, and natural and historic resources in the state of New Jersey. At the same time, DEP plays a key role in positively impacting the economic growth of the state. While DEP’s goals have remained the same, this agency has undergone a significant transformation since Commissioner Martin took office in 2010. 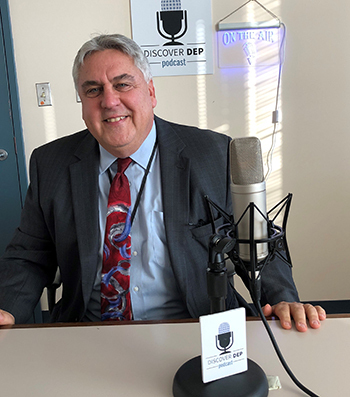 Commissioner Martin helped kick off Discover DEP’s inaugural podcast in April 2016, and we’re happy to have him back to reflect on his 8 years at DEP. 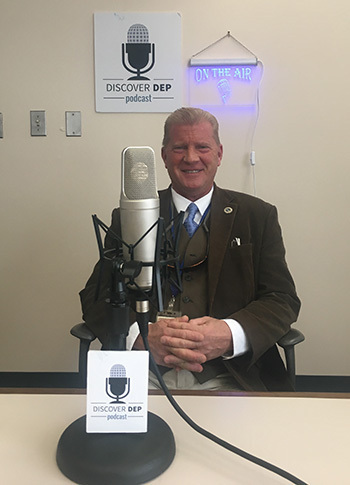 Listen in as Bob Bostock sits down with Commissioner Martin to talk about his experience at DEP and the positive changes that he has encouraged. As Deputy Commissioner, Dave Glass serves as second in command for DEP under Commissioner Bob Martin. He is responsible for continuing the agency’s successes in developing and implementing policies that balance strong environmental protection, economic growth, and common sense solutions to environmental issues. 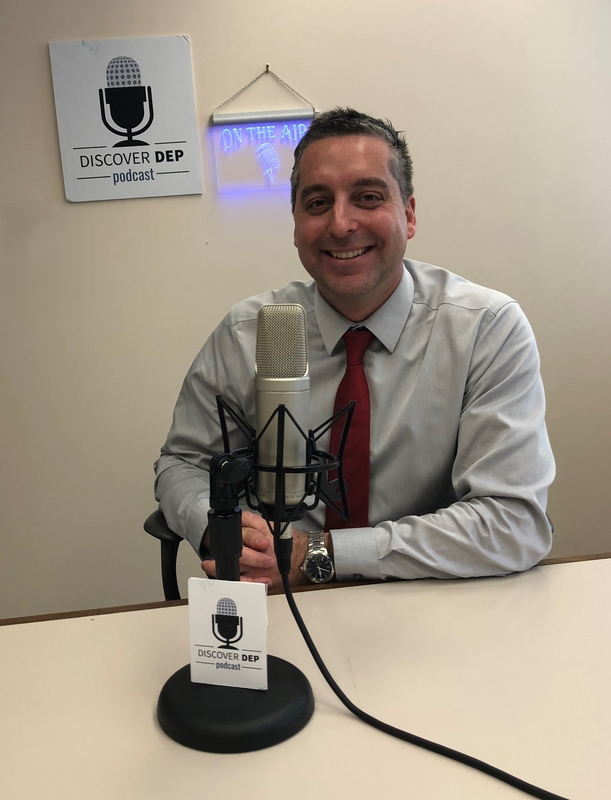 Listen in as Dave sits down with Gladys Giron to talk about his role at DEP, offices he oversees, and initiatives he has spearheaded over the past 8 years. Download the attached PDF for a full list of DEP’s Social Media pages. Over the last several decades, DEP has been ensuring that all New Jerseyans have safe water to drink and all the necessary information. Since the presence of lead in drinking water has become a national matter of concern, DEP’s efforts to ensure that New Jersey’s drinking water is clean and safe are more important than ever. Bob Bostock sits down with Leronda Aviles and Kristin Hansen to discuss lead in drinking water and DEP’s new lead website. Although New Jersey is far from the largest state in the Union, it is the most densely populated, making it a challenge to protect our land. Our 8,729 square miles of land encompass many diverse uses. Land Use Management is a group of programs that protect and enhance New Jersey's environment through implementation of State land use regulations, regional land use planning, coastal resource management and funding projects that result in improvements to the quality of the State's environment. 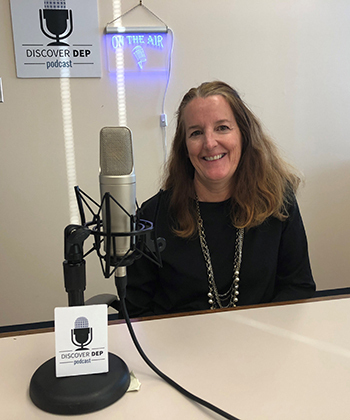 Bob Bostock sits down with Assistant Commissioner of Land Use Management Ginger Kopkash to discuss DEP’s role in ensuring that New Jersey’s land remains diverse and well protected. To help address environmental inequities, DEP launched the Environmental Justice Program to ensure fair treatment for people of all races, cultures, and incomes, in the development, implementation and enforcement of environmental laws, regulations and policies. The Environmental Justice Program aims to empower citizens who are disproportionately impacted by environmental pollution and often outside of the decision-making process of government. 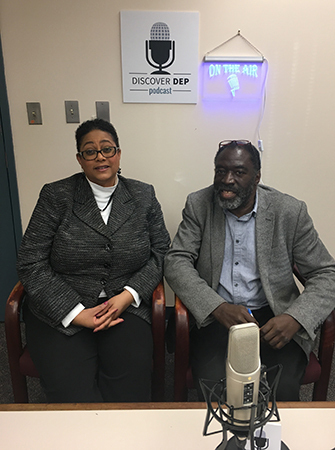 Riché Outlaw and Joseph Donald sit down with Gladys Giron to discuss how DEP’s Environmental Justice Program strives to improve the quality of life in New Jersey’s urban communities that are overburdened by environmental stressors. Click here to learn more about Environmental Justice at DEP. 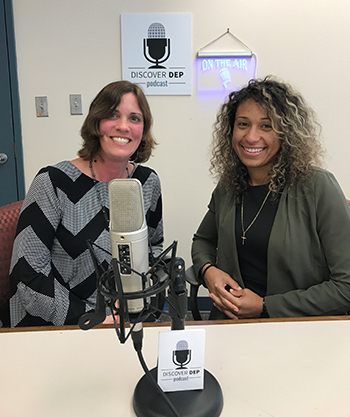 Click here to listen to the Discover DEP episode on Groundwork Elizabeth with Jackie Albaum and Jonathan Phillips. Click here to read about DEP’s Fall 2017 volunteer day with Groundwork Elizabeth. Click here to learn more about volunteering for the New Jersey Tree Foundation in Newark. DEP’s Natural and Historic Resources office is charged with preserving and protecting New Jersey’s natural, ecological and cultural resources, including state parks and forests, wildlife management areas, our fish and wildlife, and state historic sites that are so valued by our residents and visitors to the Garden State. From mountains to beaches, woodlands to rivers, battlefields and open spaces, the professionals at NHR are there to promote the responsible use of these special areas and to safeguard them for this and for future generations. Bob Bostock sits down with Rich Boornazian, Assistant Commissioner of Natural and Historic Resources, to discusses the accomplishments of this dynamic group within DEP. Click the highlighted links to learn about New Jersey’s parks and forests, fish and wildlife, historic resources and open space.